On February 1st, we had the honour of attending the Ottawa Sports Awards. This banquet is held once per year to celebrate the accomplishments of the best athletes in Ottawa across every sport. It is a wonderful evening highlighting high performance athletes and coaches who all share a passion for sport. This year ONDC’s own Kathryn Grant was selected as the single best athlete for the sport of Diving for her accomplishments in the 2016 season. To bring all the readers up to speed here is a quick list of Kathryn’s accomplishments in the past two years. 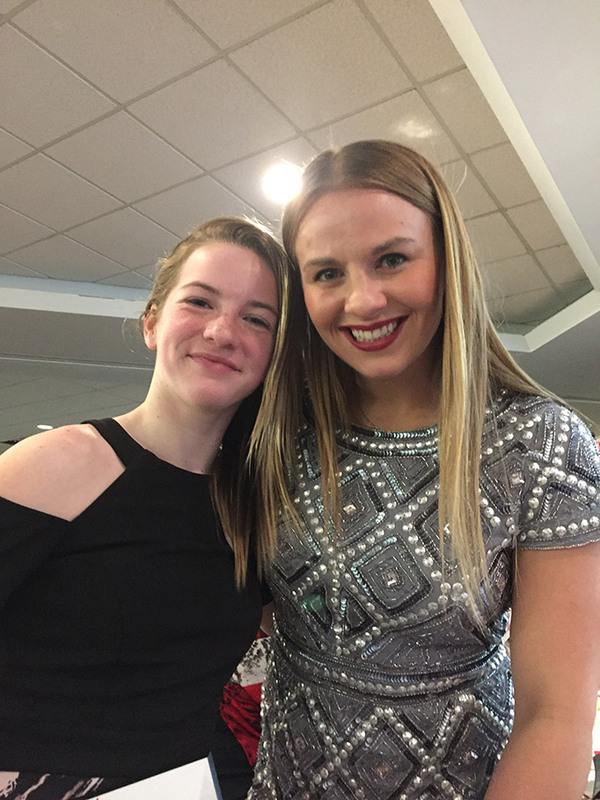 She has won a Bronze Medal at the Jr. Pan-American Games, 3 National Titles, 12 Provincial Titles and was awarded Ontario’s Outstanding Diver for her age group in 2015. Outside of her results, Kathryn has become a leader within our club and a mentor to younger divers. Our club could not think of a better diver to represent our sport at these awards! To cap off an amazing celebration, Kathryn got to meet the Olympic Champion in Wrestling Erica Wiebe. It might have taken a bit of pushing from her coach to go and ask for a picture but I’m sure it will be a moment she will remember for a very long time! Congratulations on your special evening Kathryn! We can’t wait to see what lies ahead! Kathryn got to meet Olympic Wrestling Champion Erica Wiebe.